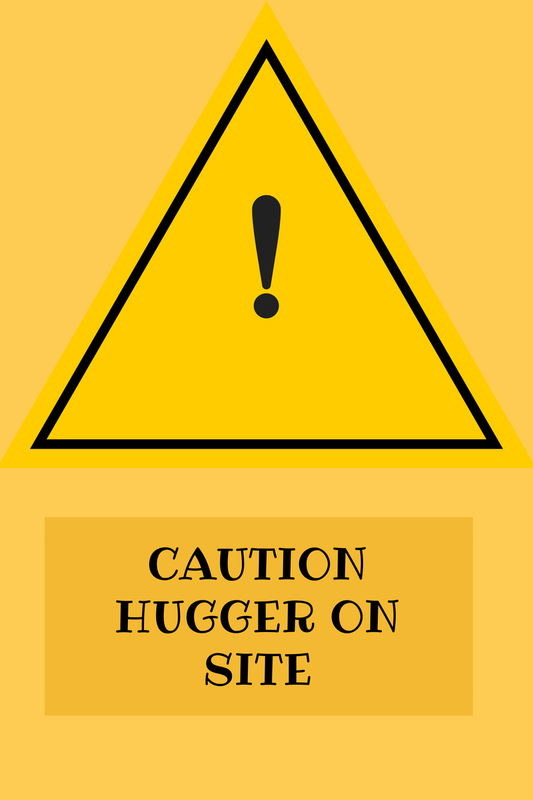 Alert!We’ve got a hugger in the house!Sounds wonderful and I have to admit it is-all this receiving of impromptu hugs from a little person night, noon and morning. There’s nothing to brighten up the most miserable of days like a full on Mini hug. The problem is outside the house. We were at an art gallery yesterday morning and in between flitting merrily around the big open space counting the paintings on the wall, Mini would pause to dispense hugs to complete randomers. I say hugs, really they were more of a swoop, grab stranger’s legs, squeeze and disappear into the shadows of the gallery kind of action, sort of like a cuddly ninja. People were for the most part receptive to this mini ambush below the knees, offering sheepish grins as I muttered a “sorry” and continued on my way around the gallery trying to intercept the ball of energy that is my elder daughter. I love how friendly she is but this hugging has me worried. Sure it’s cute now coming from a 3 year old but will it still be cute coming from an older child? A teenager? Methinks not. Plus there’s the whole personal space issue. Some people are just not receptive to physical contact no matter how adorable the giver is, which is totally understandable. Add to that the danger factor. I don’t know the people she’s hugging,much less their intentions. So what to do?Sit her down and explain that some people do not like to be hugged and that she should reserve her cuddles for family and friends?It seems a bit early to be trying to curb what comes naturally to her as a child. Am I overreacting and over thinking it?Are hugs ok?There was a whole campaign centered on giving out free ones not so long ago. What do you think? Aw-that’s so cute but yeah a little scary!If i come up with a solution I’ll let you know!